8am on the dot. No need for an alarm clock. 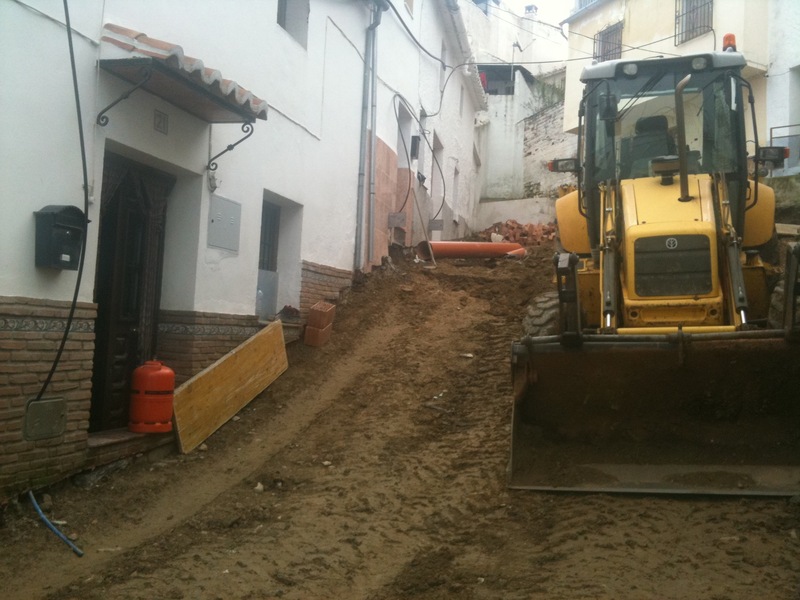 The digger starts up, the sound echoes loudly, bouncing off the walls in the narrow street. 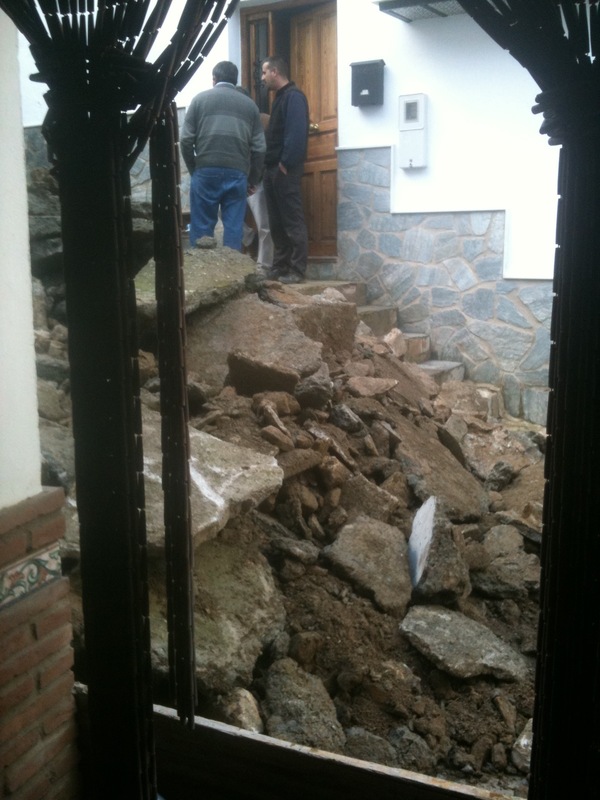 They’re very punctual, the workmen. Damnit. This really shouldn’t be the view outside anybody’s window. My morning walk around the edge of the village and to the bakery would involve a hard hat and a yellow jacket if I were in England. Here I just wave from my front door, the guys tell me if it’s safe, I climb over the wooden board guarding my front door, jump down to the muddy track way below, and pick my way over trenches and mudheaps. This morning I put my empty gas bottle out for replacing. Optimistic? I needn’t have worried. A knock on the door – the gasman cometh. I thanked him profusely and said I had thought he wouldn’t be able to get through. He looked surprised, and said simply “People need gas”. He would have scaled mountains and carried the bombona across a bed of nails to reach his customers. So often it’s the people doing their daily work and keeping us going who are the real heroes. 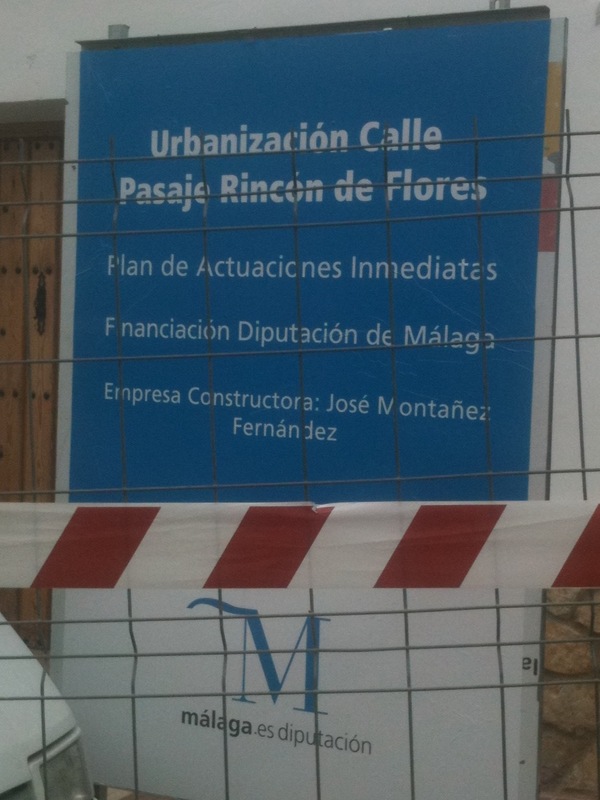 This entry was posted in Spain and tagged Andalucia, Axarquía, Colmenar, roadworks, Spain, SpanishBlog, Tamara Essex by tamaraessex. Bookmark the permalink. How long until the works are finished – is the standard ‘two weeks’ you get told in the UK? I know Sam ….. but that seems a long way off just now!